In our previous article, we had discussed the refund voucher to be issued in the case of withdrawal of service.In the case of the reverse charge applicable on a transaction, the receiver of goods or services is liable to pay the tax instead of the supplier of goods/services under GST. The supplier of goods/services cannot issue a tax invoice, so he needs to issue a payment voucher to the recipient of goods/services. The recipient who is registered under GST has to issue a payment voucher for the transactions(goods or services) on which reverse charge is applicable to the supplier. Ajay cashew house registered in Delhi had purchased cashew nuts from Vikram an agriculturist for Rs 100000 in Karnataka. In this case, the reverse charge would be applicable to Ajay cashew house. CGST and SGST are required to be paid by Ajay cashew house on reverse charge basis of Rs 5000( 5% * 100000). Ajay cashew house would also need to issue a payment voucher to Vikram for Rs 100000. Vikram logistics a GTA registered in Karnataka provided transportation services to a factory of Ajay fireworks in Delhi for Rs 200000. Ajay fireworks has to pay CGST and SGST on reverse charge basis of Rs 10,000 (5% * 210000). A payment voucher of Rs 200000 would need to be issued by Ajay fireworks to Vikram logistics at the time of making the payment. Name, address and GSTIN (if registered) of the supplier. A consecutive serial number not exceeding 16 characters of any combination which unique for the financial year. Date of issue of payment voucher. Name, address, and GSTIN of the recipient. Description of the goods and service on which tax is paid on reverse charge basis. Amount paid to the supplier. The rate and amount of tax charged under different heads CGST, SGST/UTGST or IGST and cess. Place of supply if the transaction is interstate along with the state name and code. Signature or Digital signature of the supplier or the authorized representative of the supplier. The receiver of goods/services needs to generate the payment voucher at the time of making the payment for the goods/service on which reverse charge is applicable. 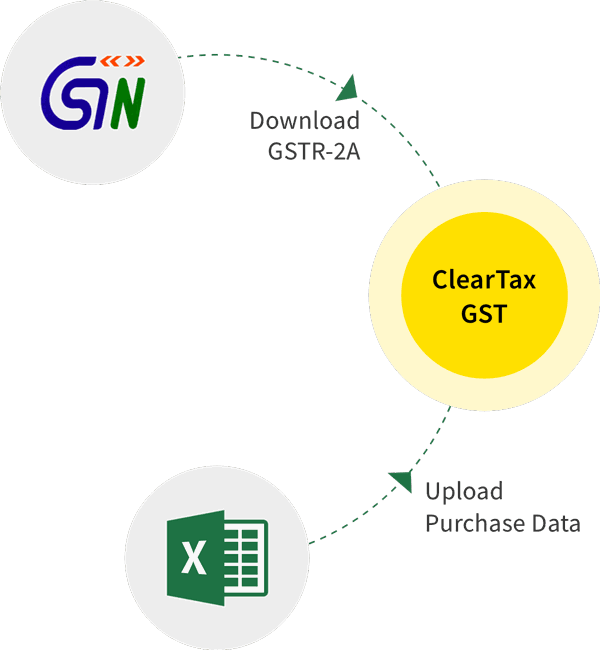 You can generate a payment voucher from our ClearTax GST software with the details mentioned under GST rules.